Every so often there comes an event that rattles our faith, shatters what we have built and shakes us to our very foundations. The 2008 Sichuan earthquake was one such tragedy. No one who witnessed the terrible destruction and loss of life will ever forget it. Yet in the aftermath of tragedy there is hope, a reminder of what people working together can achieve. 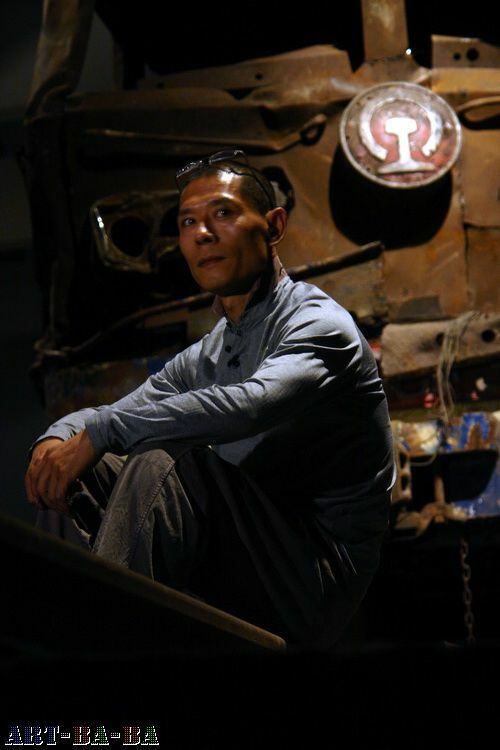 Zhang Huan's Hope Tunnel , a curated social project at UCCA, was conceived and designed by an artist who believes that art has the power not just to move us emotionally, but to galvanize us into positive action. 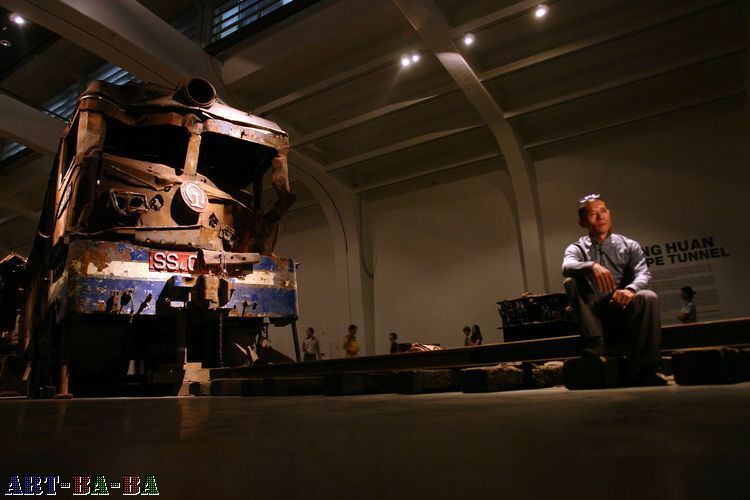 When we behold the train that Zhang Huan purchased, refurbished and installed here, we may find ourselves dwarfed by the scale of the wreckage, dismayed by the destructive force of nature and daunted by the challenges that lie ahead. Perhaps we should feel humbled by the shadow of that awesome bulk, but as the title reminds us, while we may be small, we are not powerless. Through remembrance, reflection and concerted action, each one of us has the power to help—and to hope. May 12, 2008. Sichuan Province. The earth, in a sudden outpouring of fury, buried both a loaded freight train and the arrogant idea that human beings can somehow conquer the forces of nature. By making us witnesses to a scene that is neither real nor virtual but somewhere in-between, Hope Tunnel forces us to confront the way humans clash with or compromise with the environment. A work of art wrought from the wreckage of a disaster, it is also a curated social project that aims to inspire philanthropy. In each step of the project—locating and obtaining the wreckage, transforming it into a work of art, planning the charity component— we are witnessing the transformation of the artist himself. between Mother Nature and the human tribe. 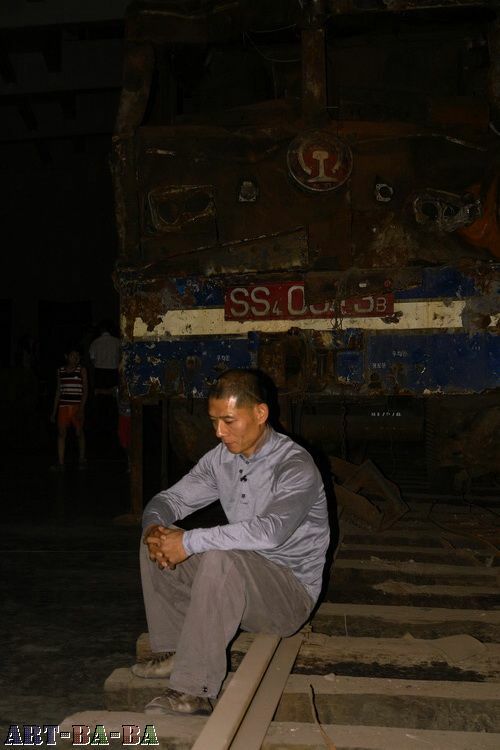 Hope Tunnel is the truest rite of passage, another step in Zhang Huan's artistic evolution. At 2:28 p.m. on May 12, 2008, on an otherwise ordinary afternoon, the ground in China began to tremble. Something had fractured deep within the earth, rending and ripping, turning peaks into valleys and valleys into tombs. When the wave of destruction hit, countless fragile lives were lost and many more were injured. Sichuan's once-lush landscape was turned into a desolate wasteland, a swath of death. Freight train no. 21043 was carrying over 600 tons of grain and 12 tanks of aviation fuel through tunnel no. 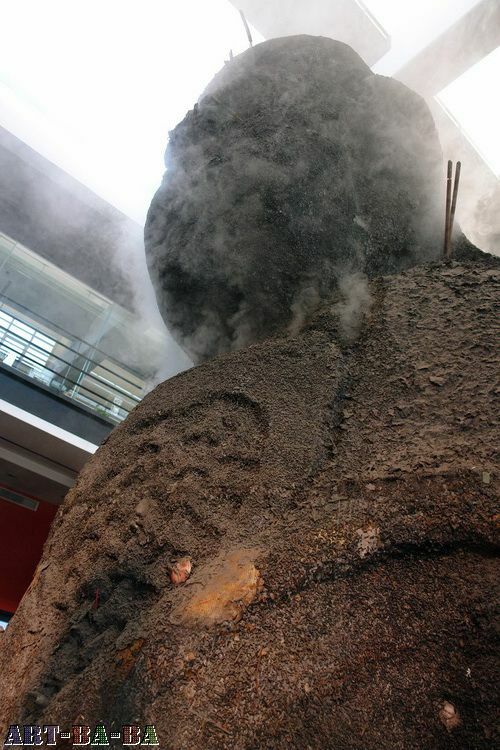 109 on the Baoji–Chengdu railway when it collided with a massive boulder displaced by the quake and derailed. An hour later, the fuel tanks exploded, engulfing the train in flames and trapping two conductors in the engine carriage. It was a moment that will remain etched in our memories forever: a moment of great tragedy and suffering, but also of great love and determination. Both conductors were quickly rescued and survived the ordeal. It was the only railway disaster of the 2008 Wenchuan/Sichuan earthquake. When I saw the news reports and photos of the train tragedy, I was badly shaken. In a single blow, our whole philosophy about human beings conquer ing na ture had been demol ished. I remember thinking that I should acquire the train cars and fuel tanks and preserve them. After a convoluted and frustrating process, I finally managed to get in touch with the salvage company in Xi'an that had possession of the train. By then, the oil tanks were already gone and they were planning to sell the remaining wreckage to a steelworks to be melted down. I asked them to hold the train for me and flew to Xi'an with some friends the next day. The salvage company didn't care what I was planning to do with the train, but as soon as they realized I was serious about collecting it, they raised the price and said they were willing to sell it. After the contract was signed, our technical director, photographer and a documentary team drove all the way from Shanghai to Xi'an. It took two weeks of hard work to transport the two sections of the train back to our workshop in Shanghai. As a monumentally impor tant "witness to history,"the train is worth preserving. At a time when the whole world is looking toward the future, preserving the past seems more important than ever. Reflecting on the disaster, investigating the causes, mitigating future dangers and finding ways to live in harmony with our environment rather than trying to conquer it—that's where the real future is, the tunnel of hope that leads to tomorrow. 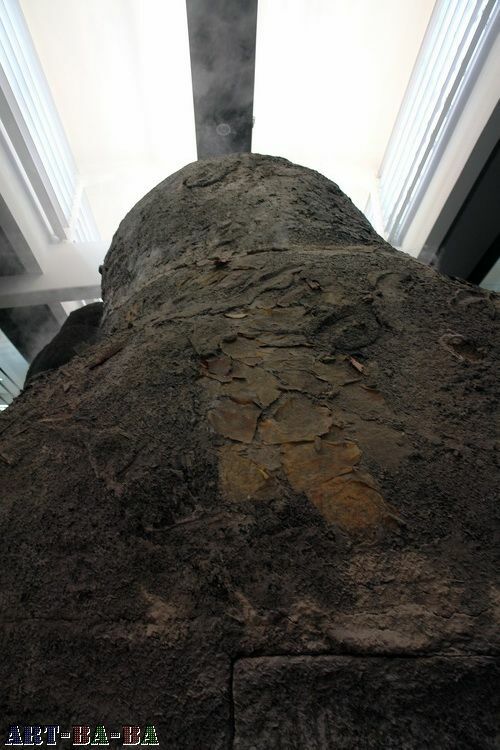 In the UCCA Lobby, we will also be displaying two of Zhang Huan's large incense-ash sculptures, Military Officer and Cultural Officer . These oversize sculptures are crafted from incense ash collected from some twenty temples in and around Shanghai. It is a process requiring enormous patience and finesse, as no monk or abbot will accept payment for such material; rather, the artist must convince the temple of the purity of his intent before he is allowed to remove the ashes and transport them to his studio. Once the incense ash is collected, it is sorted and mixed with a binding agent before being molded into various shapes. Over time, the sculptures will shed a certain amount of their surface material, highlighting the ephemeral nature of art, creation, belief and even life itself. "This is ridiculous, this can also be called 'artwork', from the arguably bad quality of the previous tigers paintings we came to a really low level. Well if everything continues like this there's nothing to say one big exhibition/per month, you can do 30 exhibitions this way without any problems. There are too many nice objects remainding from the earthquake..."
July 19th, 10:22 Art reporter said: "This kind of very direct expression reveals the author's superficiality, hope that everyone won't get attracted by this kind of mystified so-called contemporary art, this is really too much, this kind of promotional strategy, even museum became superficial." 10:34, UCCA replied: "This kind of very direct expression reveals the critic's superficiality, hope that everyone won't get attracted by this kind of mystified so-called art critic, this is really too much, this kind of promotional strategy, even art reporters became superficial." Wawa on weibo: "to UCCA, as an official on weibo, you should be more open about critics about your exhibitions, artists and works.[...] This kind of dispute will only give a bad image to your institution. Wasn't the initial idea of opening weibo a way to attract people? It wasn't only to make advertising isn't it? If you don't leave people to talk, how would you expect to create a good relationship with the public? The Belgium institution shouldn't be this way." Reply from a UCCA employee Miss Li: "The idea of using weibo just to attract more people is really simplistic. Weibo isn't a bureaucratic structure. Anyone is free to talk here , but I also have the right to defend myself. UCCA is a Chinese structure, established in 798, and is based on contemporary China." Wawa reply: "Attracting people was a joke, I meant doing pubic realtions. Does this institution's weibo has the task to confront art critics? [...]"
Miss i: "These exhibitions represents the choices of the institution, that's why they are presented here and not in other places. However the diffusion of the exhibitions and artworks is very broad, I hope that UCCA exhibitions can attract unprofessional common people. This is the responsibility of an educative and strong institution. This kind of inner discussion within this kind of art and so called contemprorary small community is really unecessary." Wawa: "So you mean that UCCA exhibitions are meant for people who are not in the art circle, and the other should sut up? I'm only a very small art journalist, [...]and I only represent myself, however as a representant of your strucutre you should think more of what you say". Should you be in search for the two sophistication along with excellent style, then you can certainly opt for Chanel totes. Naturally, if you need to take action the actual classic means, and then suggest sure you might have a minumum of one 255. The particular Chanel 255 is really a classic quilted Chanel bag which was very first launched on the market more than half a century previously. Throughout Feb 1955, the entire world has been talented with this elegance possesses ongoing to be able to seize minds of the female current inside the trend tracks. All of the launched 255 is but one wonderful art work that is certainly watch to Coco Chanel's dedication to high quality alo.Cheap Chanelng with workmanship because confirmed with all the Chanel totes. Inside 2006, a new reissue with the renowned Chanel 255 premiered throughout celebration in the producer's five decades inside developing beauty and fashion. It absolutely was zero delight because the Chanel purses reissue created massive as well as file smashing revenue for years. All women sufficiently fortunate to get have the platinum and ladies who're smart ample to choose the genuine article made certain that they their very own 255 reissue. This took place as a result of actuality that classic quilted purse is really a desire to have the majority of females and having you are simply a ought to. In case you are right no.Cheap Gucci Handbagsow determined to full your current most up-to-date Chanel bags selection as well as in case you simply want to possess among the 255 traditional reissue, it's about time that you will get your current finances and buying one. Inside Chanel 09 springtime selection, your 255 reissue has gone out inside bright colors and all you need to do is actually determine which a single your own heart would certainly settle for. One favourite could be the Chanel 255 aqua green reissue bag that's so neat for the face yet still possess the classy appear and feel of a Chanel. Fake Oakley Sunglasses Sale when the airraid oakley sunglasses sale just making our way out of the inner harbour when the air-raid sirens went off. A British bombing raid the heaviest I had then experienced, and Oakley Cheap Replica Sunglasses Fake the harbour was,replica oakleys of course, the main target. But somehow we got through, and Oakley Cheap Replica Sunglasses Fake after an engine breakdown and Oakley Cheap Replica Sunglasses Fake a miserably stormy night in mine-fi.Blomkvist s first month out in the country replica oakley sunglasses was the coldest in recorded memory, or (as Vanger informed him) at least since the wartime winter of 1942. After only a week in Hedeby he had learned all about long underwear, woolly socks, and Oakley Cheap Replica Sunglasses Fake double undershirts. He had several miserable days in the middle fake oakleys of the month when the temperature dropped to -35 F. He had experienced nothing like it, not even during the year he spent in Kiruna in Lapland doing his military service. One morning the water pipes froze.fake oakley sunglasses Nilsson gave him two big plastic containers of water for cooking and Oakley Cheap Replica Sunglasses Fake washing, but the cold was paralysing.